Step 1. Add the bric to a page that has elements you want to control. Step 2. Using any or all of the Target Element Fields, type a selector for that element. You can add multiple selectors in the field (each targeting a different element), just separate them with a comma. Step 3. 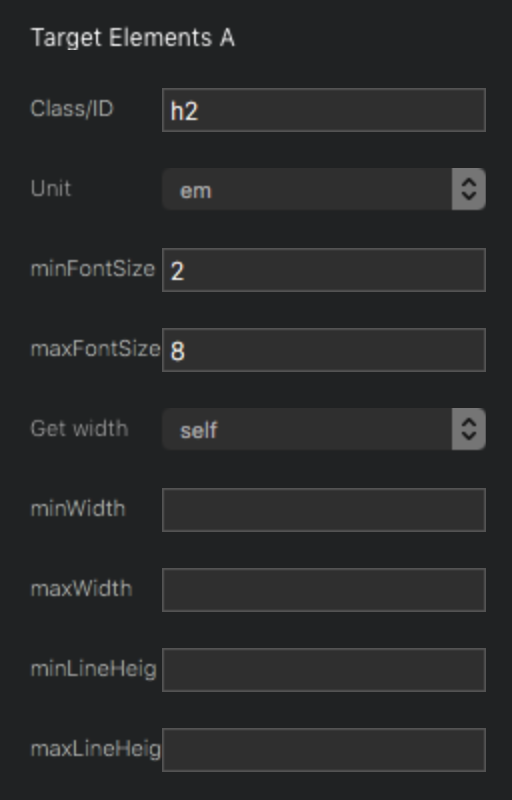 Set the maximum and minimum font-sizes you want the font to show. Hint: use the mobile view to set the minimum and desktop view to set the maximum to your liking. This makes things sooo easy. Step 4: The other settings such as Line Heights are optional. Here’s a quick run down. Each of the settings below are optional. Min Line Height = The smallest line-height. It scales with the font-size. Max Line Height = The biggest line-height. It scales with the font-size. Min Width = width that controls the small font size. 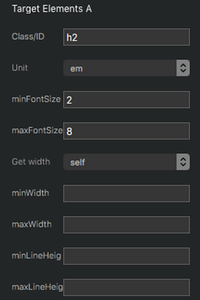 Max Width = width that controls the large font size. Get width = Calculate the width from the parent or the element itself.